Nickelodeon is about to sham-ROCK your world with the new, animated Nickelodeon Original Movie Lucky, premiering on Nicktoons Africa on Thursday 22nd March 2019 at 09:40 CAT / 08:40 WAT / 10:40 EAT! The movie follows the hilarious adventure story of Hap, the unluckiest leprechaun around, and the search for his family's lost gold! 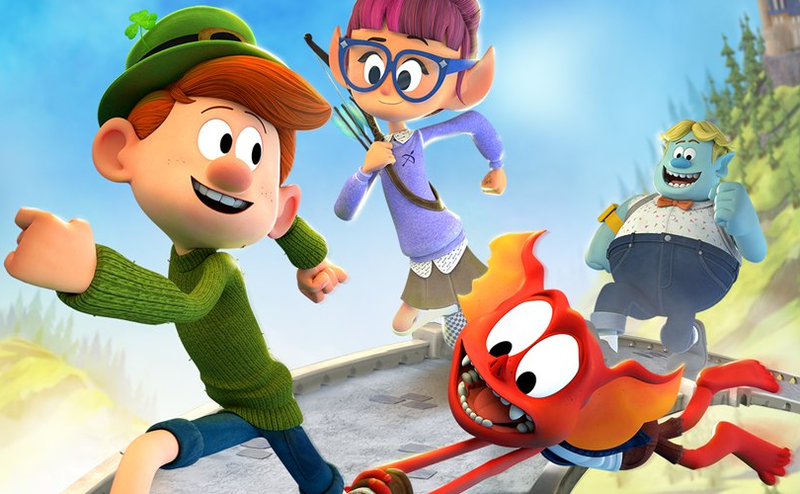 In Lucky the Leprechaun, unlucky leprechaun Happy McSweeney is in for the adventure of a lifetime when he and his friends set out on a daring mission to retrieve the pot of gold that was stolen by the evil Houlihan from the McSweeney family years ago. Can Happy get his family luck back? The movie is expected to premiere on Nickelodeon’s international channels and branded blocks across 170+ countries and territories around the same time, including on Nickelodeon Australia & New Zealand on Friday 15th March 2019 at 6:30pm. Lucky is produced at Nickelodeon Animation Studio in Burbank, California. The film went into production in Fall 2016. To celebrate the release, Nickelodeon has partnered with Random House Books for Young Readers to release a tie-in book inspired by the movie. Titled Lucky: The Adventures of the Unluckiest Leprechaun, the hardcover book is written by author Bart Coughlin and features illustrations by illustrator Leticia Lacy. Boys and girls ages 3 to 7 will love this beautifully illustrated hardcover Big Golden Book that's based on the television movie. Released on Tuesday, January 8 in North America, the UK, Canada and Australia, the book is available to purchase now on Amazon.com, Amazon.co.uk, Amazon.ca and Amazon.com.au. Follow NickALive! on Twitter, Tumblr, Reddit, via RSS, on Instagram, and/or Facebook for the latest Nickelodeon Africa, Nicktoons Africa and Lucky the Leprechaun News and Highlights!